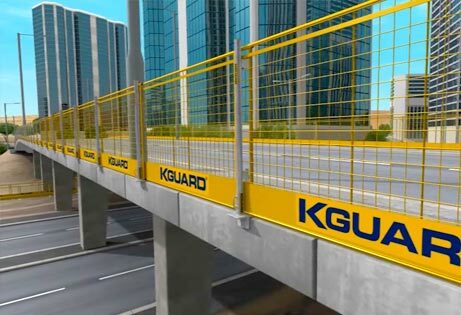 Concrete Frame Edge Protection, Steel Frame Edge Protection, Debris Guard Barriers, Structural Steelwork Protection and Safety Walkways. 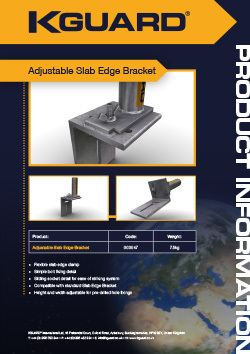 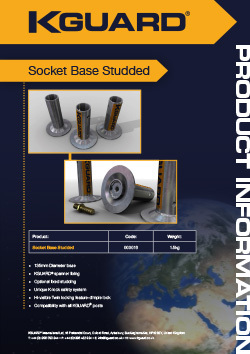 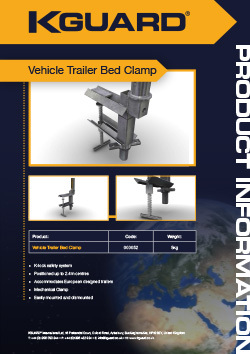 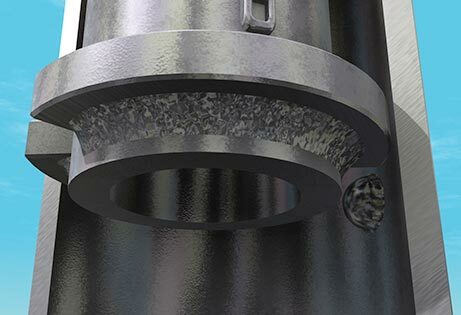 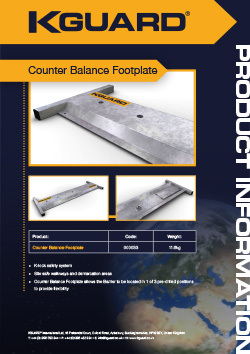 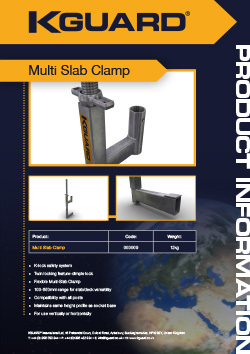 Surface mounted, slab side edge fixing options, and non drilling clamping arrangements. 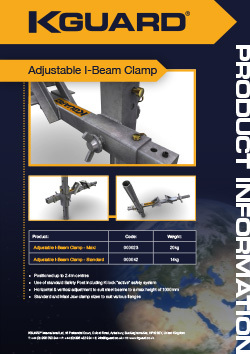 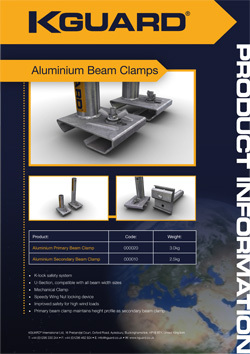 Cleverly engineered clamps to fit all sizes of aluminium beam extrusions and timber beam sections. 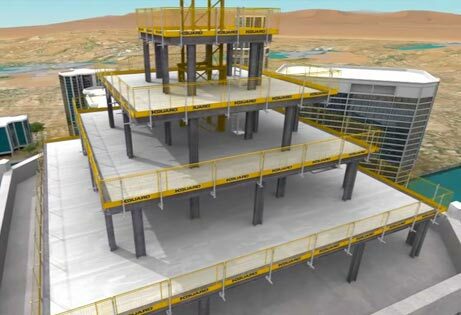 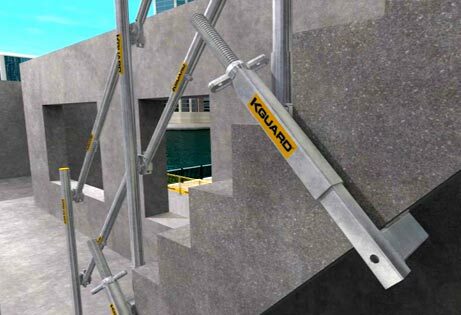 Designed with the demands and diversity of steelwork erection safety procedures. 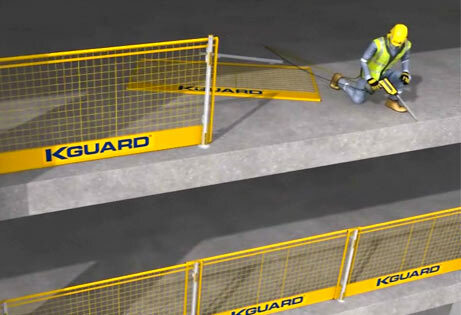 Safe edge protection for highways bridge maintenance, parapet upgrading and replacement works. 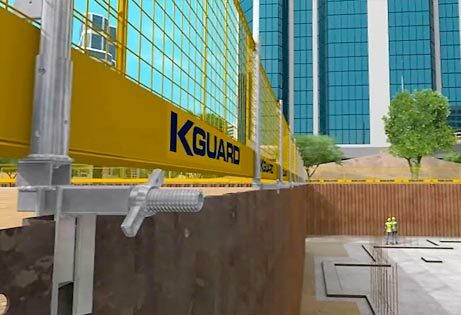 Comprehensive edge protection solution for all unprotected excavation areas. 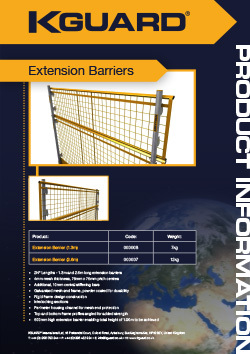 Durable and strong, with the ability to be adapted to suit the most complex of site access areas. 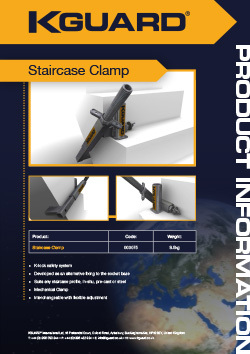 Cost effective construction of proprietary staircase handrails in half the time of more traditional methods. 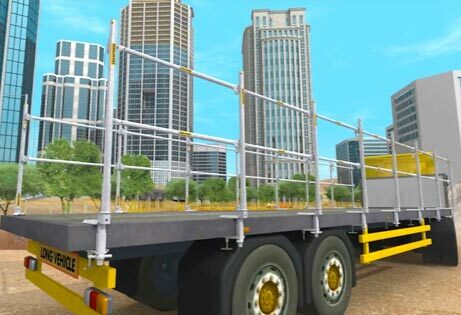 Safe loading/unloading from vehicles by cranes and associated mechanical handling equipment. Purpose made fabrication components to suit bespoke and tailored projects. 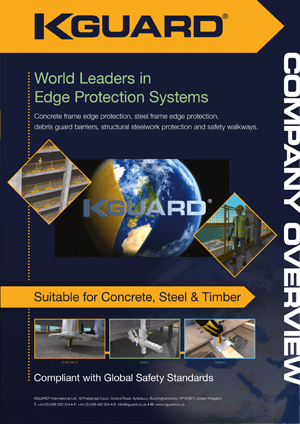 KGUARD® Multi-Application Edge Protection System for Concrete Slab Environments. 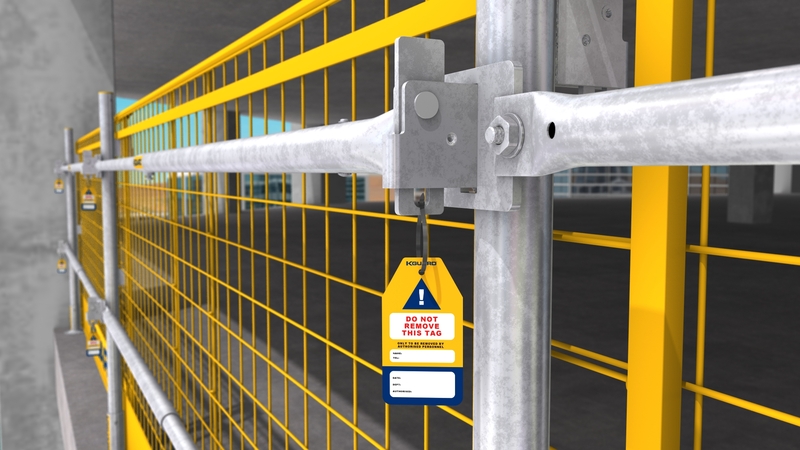 We currently have a number of territories available for our franchise programme. 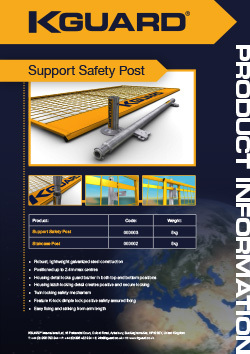 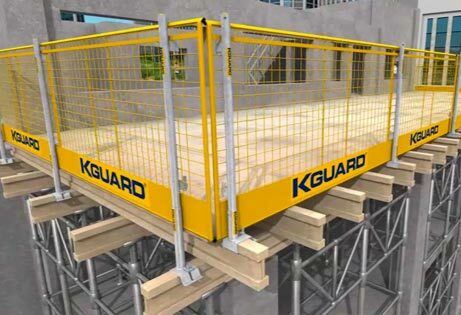 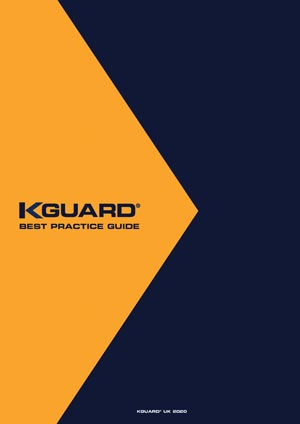 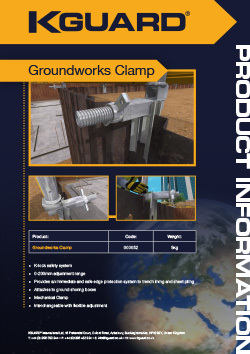 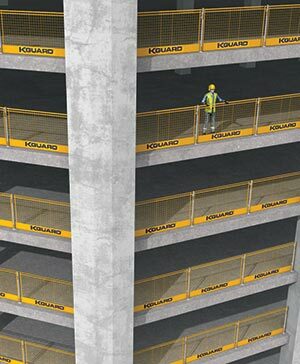 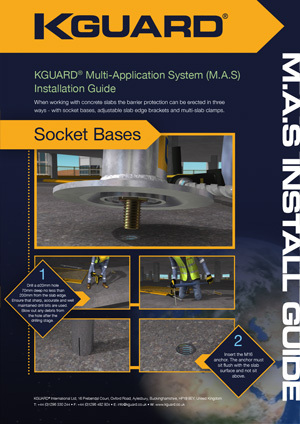 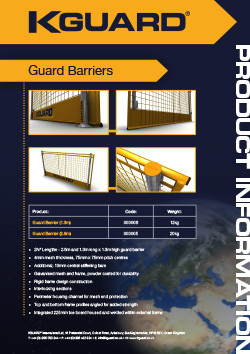 KGUARD® provide world leading edge protection systems and fall prevention systems for the construction industry. 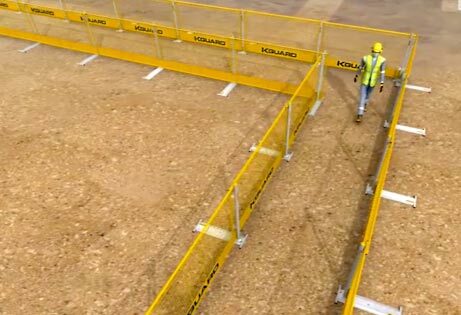 Our construction site safety products include concrete frame edge protection, steel frame edge protection, debris guard barriers, structural steelwork protection and safety walkways.